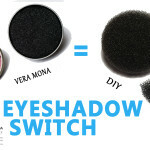 Yes so, just stroke your brush against the Solo sponge to completely remove eyeshadow colour and then switch to the next colour. Sponge can be used on either side and can be washed or replaced with a refill pack. The Duo also has a wet sponge in the centre for wet make up application. You must discard wet sponge after every use – that means you need some replacement too. I need to admit – first impression is really good, tool took smart and it’s practical…definitely removing colour that way is faster than wet cleaning….so that can save the time if we use lot’s of colours in one make-up. 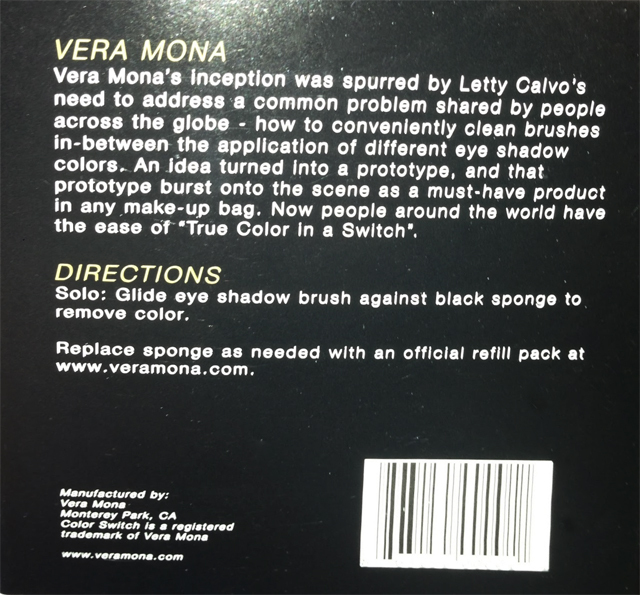 BUT – I don’t say it’s a bad product…but girls that’s still only sponge in metal box! Ok…How much does it cost?? Slave Colour Switch – price unknown – not released yet. I started searching for some reviews of product and pictures of people who bought it. – Please have a look to the For the Love of Make-up. And in that point… – some of you should record what is it actually?! – it’s a Stipple Sponge! JUST stipple sponge! The same as used for sfx and face make-up…(well..Vera just got it bigger and different circle-shape…but shape is the only one difference)! So let me show you my version of colour switch! Please watch tutorial bellow – and hope you will find it useful.